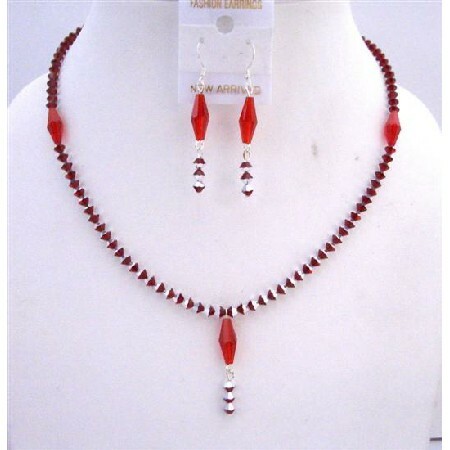 Made with 1st Quality Swarovski NEW Siam Red Crystals( one side is siame red & other side is Silver) with long bicone (item # 5205) siam red drop down & earrings look Awesom! We have handcrafted each Necklace using our own original designs. All of our designs are based on beautiful & unique Vintage Style Jewelry from many different eras. We always use the finest quality of Crystals & components.